What is the minimum service that you provide ? Two hours weekly or four hours fortnightly, whichever suits your circumstances. 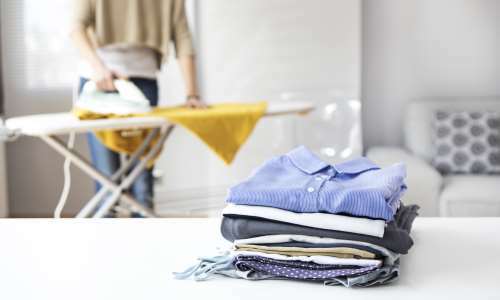 We find that many clients sign up for the two hour weekly service along with an additional ½ hour for some ironing. Is there a minimum length of time that I must agree to ? Yes, but this is only three months. How much notice will I need to give should I need to cancel the service at some point in the future ? What insurance cover is provided ? 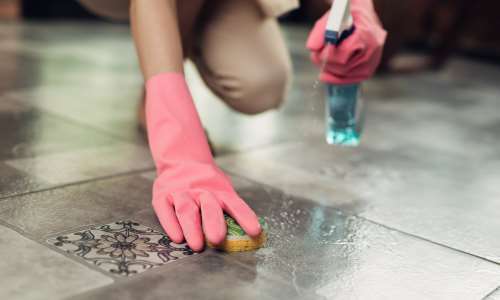 All of our housekeepers are covered for Personal Injury (£10,000,000), Public Liability (£2,000,000) and Accidental Damage (Excess of £125) whilst in your home. Do you provide an ironing service ? Yes, at your request we will allocate a housekeeper to you that is able to provide this service at your home. Can I choose which day the housekeeper comes ? Yes, we ask for a first choice and a second choice of day (just in case your first choice is not available at present). You may leave the choice of day to us if you wish. Will I have the same housekeeper each week ? Yes we believe that it provides consistency for both the client and the housekeeper. The housekeeper will become accustomed to your individual requirements. The housekeeper will provide you with their personal contact number so that you can communicate direct on any day to day matters. What is the quarterly standing order payment for ? This is the management fee part of the hourly rate, which pays for the management of the service (including providing temporary cover if requested), along with insurance costs whilst the housekeeper is in your home. This is not in addition to the advertised hourly rate but simply a part of it. Separating it is this way allows us to keep our hourly rate down for you as the whole amount does not become liable for vat and other business taxes. Why do I have to pay the quarterly fee in advance ? As with most service providers a cost is payable in advance, e.g. BT charge the line rental in advance. Belle Casa purchases insurances and organises the services in advance. Is the quarterly fee (standing order payment) taken immediately ? No, we assure you that this is only taken once you have met with the housekeeper and agreed on a start date for the service. What if I do not take to the housekeeper at our initial meeting ? We appreciate human nature being as it is we do not gel with everyone, therefore please let us know and we will allocate another housekeeper to you and again you have the opportunity to meet with this new housekeeper. What if I have problems with the housekeeper allocated to me, once started ? Then please talk to us. You may discuss this direct with the housekeeper if you wish, but we appreciate that you may prefer us to do this. This issue will be resolved by us, should it ever be needed. We ask our housekeepers to inform each of their clients at least two weeks in advance. The housekeeper will ask you if temporary cover is required and inform the office, who will then arrange this and inform you of the temporary housekeeper allocated in due course. (Most clients prefer not to have a service whilst their regular housekeeper is on holiday, but temporary cover is available should you request it.). What happens if my housekeeper is unwell ? Our housekeepers are instructed to let you know and they would most likely arrange another suitable time to carry out the service for you. If there are occasions where this is impractical, we suggest that the hours are banked and made use of at a time agreeable between yourself and the housekeeper. Temporary cover is available should this be requested directly with the office. How are the housekeepers selected ? Very thoroughly and very carefully ! Our recruitment process is designed to be very selective and ensure that the housekeeper has suitable experience, has good communication skills and comfortable with answerphones (should they need to leave you a message at any time). We ask for and check on both employer and character references, including previous people they have cleaned for. We also ask the housekeepers’ permission for police checks, which you are permitted to pursue if you wish. Whose equipment and products are used ? 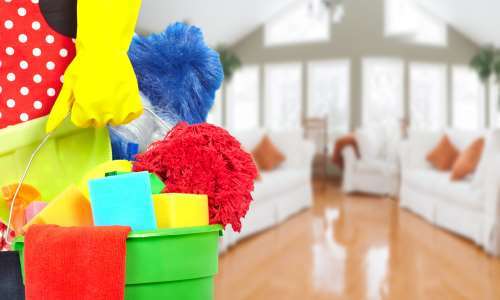 Our housekeepers use the equipment and products provided by the client. In a survey carried out by Belle Casa it showed that over 90% of clients preferred this. 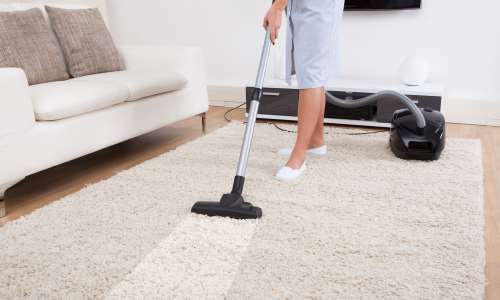 It not only keeps down the cost to the client but also ensures that our housekeepers use the products that you have found best suit your floors / work surfaces or perhaps it is purely down to the smell that you prefer in your home. It also ensures that animal hair is not transferred between homes when using the same vacuum cleaner. What is the 30 Day Money Back Guarantee ? Should the management of the service fail you you have the right to cancel within 30 days of signing the agreement and the management fee will be refunded to you. This is how confident we are in our services. We also send you a regular Newsletter which includes details of any holiday closures (Xmas / Easter / Bank Holidays), plus details of our Loyalty / Housekeeper Nomination Schemes and other services that we recommend. What if I have a different question ? Please call us direct on our office number and one of our team will be happy to help. We hope this information has been helpful for you in making your decision.